Posting on FHPCA's Job Board is free benefit for FHPCA Members. 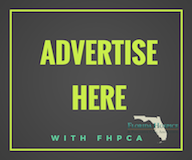 If you are not a member of FHPCA and would like to be, contact our office at 877-783-1922 or info@nullfloridahospices.org for membership information. All posting will be moderated by the FHPCA office before going live on the website. Please ensure you provide clear instructions on how interested applicants can apply to your listing. FHPCA will not forward or accept applications sent to the state office. Any jobs highlighted as a "Featured Job" are chosen at the discretion of the FHPCA office staff.